Great book, but I think it is better to read in print slowly and next to your Bible. Deep topic that needs to be studied and reflected upon. The authors do a good job of directing you to scripture. "Bell Is Definitely Wrong, But We Don't Know Why"
Astonishment. "Erasing Hell" was conceived, at least partially researched, written, edited, printed-en-masse, marketed, and released within just four months of the publication of the book it is attempting to refute. I listened to the audiobook edition of this work, which contains an elaborative interview with the authors. 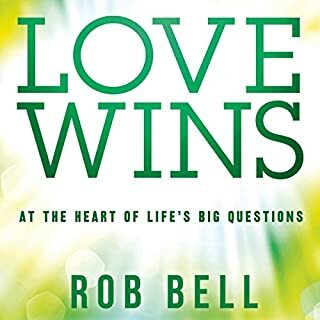 In the interview, the authors (to whom I will refer collectively by the headlining name, though I understand that the greater part of the work was Sprinkle's) admit that the book is a response to "Love Wins" (a fact, as I recall, not acknowledged in the book), making Bell's book required reading for a fair shake — but that both books are rather theologically, logically, and exegetically weak should be of concern to anyone caring to really approach the subjects at hand. "Love Wins" is a dabbling introduction to the debate between Everlasting Conscious Torment and Universal Reconciliation. "Erasing Hell" is a dabbling introduction to this subject, as well, but a dabbling introduction in rebuttal of another. The main difference in this regard is that "Love Wins" embraces its role as an inadequate introduction a little more honestly than does "Erasing Hell". This is likely due in no small part to one of the very reasons Bell is ridiculed so continuously: he's more interested in making you think than in telling you what he thinks, so he can come off as a dodgy problem-starter with no answers. I don't know the man; this criticism may be more or less true: God knows him – though I think it is a supremely Christian thing to give the benefit of the doubt. But if you are going to write a book shallow on intellectual argument (which is perfectly fine, and not by any means to be shamed), but written on the subject of a highly-controversial intellectual debate, you would do your readers a service to propose your positions with more than the usual diffidence: this is more Bell's strength than Chan's. 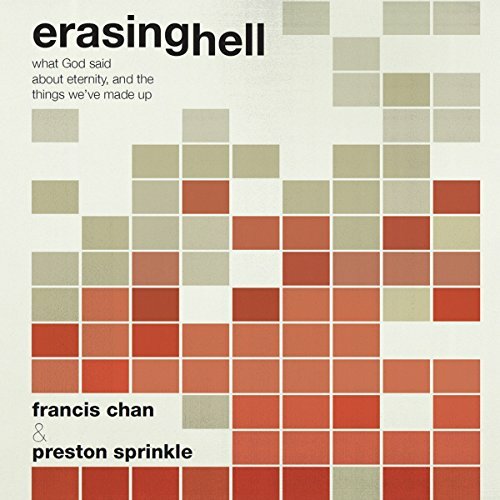 Despite Chan's incessant repetition of "I don't want to believe this, but I have to", "Erasing Hell" comes off more like a hurried "Cliff Notes to 'Everything You Need to Know About Hell'" than an introduction to the subject – and no wonder: "Erasing Hell" was conceived, at least partially researched, written, edited, printed-en-masse, marketed, and released within just four months of the publication of the book it is attempting to refute. "Love Wins" eeks by with just a little more modesty and a little more trust in the reader's willingness to continue thinking after they finish the book. 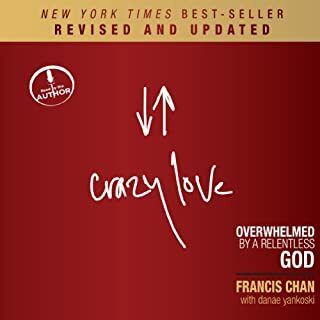 This is only a literary criticism, however, and may after all have quite a lot to do with the stereotypical psychological influences of the two positions: the stress-relieving effect of a strong hope that God will inevitably succeed in reconciling all the dead non-Christians you've ever known, and the converse anxiety-inducing effect of a strong conviction of the impending and unending torture of all the non-Christians you've ever loved. I should move on to more ultimate perspectives: the theological and exegetical (Biblical interpretation). 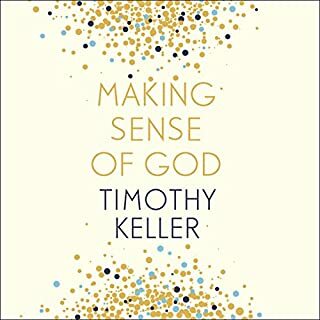 One problem is a seeming blurred line between Calvinism and Arminianism, causing the book to suffer from an overall lack of an integral system. 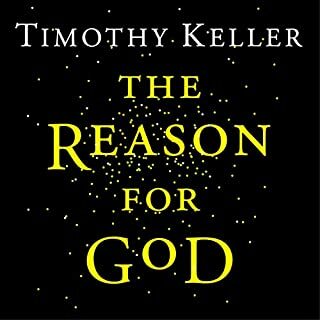 Some background: Arminianism and Calvinism function as internally-consistent rational systems for explaining how God can allow some people to become ultimately condemned. Arminianism remains consistent because it claims, "God loves everyone unconditionally, but is unable to save everyone he loves because his character prevents him from infringing on human will (assuming that it is not possible to save everyone without infringing on human will)." Calvinism remains consistent because it claims, "God is in fact able to save everyone (regardless of human volition), but because he has chosen to hate some people in order to demonstrate his glory through wrath as well through grace, he chooses to not save everyone from condemnation, or as it may be, decides apart from any quality or act of their own who he will condemn." These are the two integral Protestant non-Universalist solutions to the dilemma. A traditional approach to refuting Universalism, therefore, would be either clearly Arminian or clearly Calvinist. "Erasing Hell", on the other hand, sometimes looks like one, sometimes the other. "(3) Some sinners will never be reconciled to God, and God will therefore either consign them to a place of eternal punishment, from which there will be no hope of escape, or put them out of existence altogether. "(4) A basic knowledge of the moral character of God is possible, and therefore at least a preliminary rational system of theology is also possible." The authors of "Erasing Hell" appear to agree with propositions (1), (2), and (3), but reject (4). They have chosen to give up a rational, coherent system of theology: something all three traditional positions maintain. 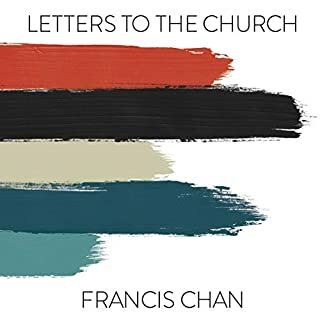 I applaud the authors' ability to embrace a certain level of mystery and ambiguity — this is a trait sorely needed in Christianity today — but as this is a question that concerns the moral character of God, which is a much more fundamental issue than the existence and nature of Hell, I cannot agree with Chan and Sprinkle. If I must choose to be uncertain either of Everlasting Conscious Torment or of God's inherent moral goodness, I cannot choose to be uncertain of God. I cannot condone their position, because I cannot condone the theological method which results in that position. Holding to the character of God is more important than holding even to the character of the Bible, in logical order. The problem is in majoring on "Theology General" and allowing our conclusions there to shape our beliefs on "Theology Proper". I ask you to consider whether this is right. Shouldn't the nature and character of God ("Theology Proper") be the absolute basis of all other theology ("Theology General")? We must start with who God is, and allow the answer to that question to ripple through all the theological satellite issues (rather than the other way round): "The goodness of God must be true, but I cannot reconcile this other doctrine at hand, so I must postpone judgment on it until he has taught me further. God must make me see the goodness in it — he must change my conscience — before I can believe he does something which I am not convinced is good, right, loving: fitting with his character. I may not refute the doctrine yet, but I also cannot in all good conscience embrace it yet — to do so would be to sin against my conscience, as Paul in Romans warned. God's goodness, and my simple faith in that one fact, must be enough for me for now. I will take not one intellectual step which contradicts His development of my heart thus far." Another problem is that one of the most important exegetical issues for a Biblical investigation into the possibility of Universalism or Annihilationism, is the interpretation of the usages of the Greek "aeon" and "aeonios". Even during my fundamentalist "hell fire" seminary days, I knew the traditional translations of these words are often questionable, and the original semantic range was quite broad and various. "Erasing Hell" does broach the issue, but the result is the most disappointing attempt at an argument in the book. I was hoping for some real work here, but the book leaves one of the two or three strongest Biblical bases in favor of Christian Universalism nearly untouched. Exegetically speaking, this was where the authors' battle was lost. CONCLUSION: "Erasing Hell" will hardly sway anyone on the fence who was not already leaning toward Everlasting Conscious Torment. It may sate those who do not wish to contend with the issues any longer than is necessary to read the book, as well as those who were never willing to reconsider what they were taught in the first place. These will point to "Erasing Hell" every time "Love Wins" is mentioned, but few others will. For a more substantial book weighing the options between Universalism and Exclusivism, see "Universal Salvation? : The Current Debate", edited by Robin Parry. I was pretty floored by the fantastic rebuttal to "Love Wins", compassionate honesty, and exegetical research. Very powerful stuff, while still remaining very personal and un-academic. We can't afford to get this wrong. I did listen to it all in one sitting twice in a row and several times since. A fantastic book to assist you in wrestling with an immensely heavy subject that has eternal implications based on which direction you choose to believe. This is a great warm up before listening to Sinners in the hands of an angry God by Jonathan Edwards! Erasing Hell is worth the read to get an understanding of today's most popular view of "Hell": Eternal Conscious Torment. Regardless of whether the author's conclusions are correct, or scripturally inconsistent nonsense, It seems clear that there were good intentions behind this book. It sparks conversation and meditation on such an overwhelmingly important subject. However, it would behove the reader to read this title alongside the title which is responsible for this work coming into being: Love Wins, and other titles which would be from other perspectives on the subject of God's Judgment. I'm just finishing this book up. I've found it to be one of the most responsible and enlightening books on what the Bible says about and what Jesus taught concerning the issue of Hell that I've ever come across. It is a must read. Would you listen to Erasing Hell again? Why? 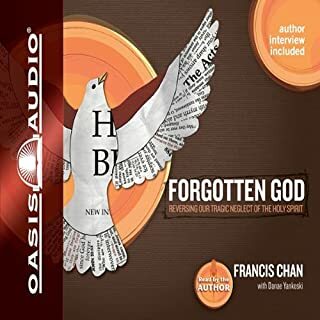 Francis Chan and Preston Sprinkle are spot on with this book. In a society where post modern thinking and relativism seem to be the flavor of the day, it is nice to see that there are some people who are willing to stand for Biblical truth. Thank you for a well written and honest book on a difficult and unplesant subject. Would you consider the audio edition of Erasing Hell to be better than the print version? I am auditory, and find it more beneficial to listen, like when in Church. This book, as read by Aaron, is like a sermon/lecture that held my attention -- no skimming -- The voice holds the energy and passion of the authors, and gets the message across, leaving no area of indifference or ambivalence. What other book might you compare Erasing Hell to and why? Other than the Bible, and various text books and commentary's, this is the first book I have read dedicated to the subject of Hell. Francis Chan is an excellent communicator, and Arron Sprinkle is a scholar of the highest order. What they, as a team, brought to the subject, is as complete a study on the subject as possible, using the sacred texts and historical contexts known to the persons originally addressed by Christ and the prophets. The result is a commentary that stands critical scrutiny of scholars and reaches the heart of the believer. Hell is real! No warning is too strong! I don't like how he talked smack about street preachers. Because if hell is real is there any warning too strong? Hard hitting. Succinct. Tells it like it is. You might wet your pants. You might weep like a frightened puppy.